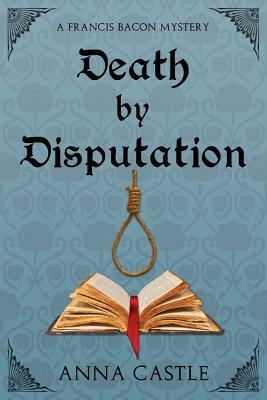 Thomas Clarady is recruited to spy on a group of radical Puritans at Cambridge University. Francis Bacon is his spymaster; his tutor in both tradecraft and religious politics. Their commission gets off to a deadly start when Tom finds his chief informant hanging from the roof beams. Now he must catch a murderer as well as a seditioner. His first suspect is volatile poet Christopher Marlowe, who keeps turning up in the wrong places. Dogged by unreliable assistants, chased by three lusty women, and harangued daily by the exacting Bacon, Tom risks his very soul to catch the villains and win his reward. Anna Castle writes two series of novels: the Francis Bacon mysteries and the Lost Hat, Texas mysteries. She has earned a series of degrees -- BA in the Classics, MS in Computer Science, and a Ph.D in Linguistics -- and has had a corresponding series of careers -- waitressing, software engineering, grammar-writing, assistant professor, and archivist. Writing fiction combines her lifelong love of stories and learning. She physically resides in Austin, Texas and mentally counts herself a queen of infinite space.